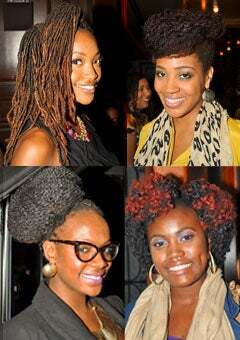 Stunning styles from NYC's hottest naturalista event. Droves of naturalistas descended on New York City’s Carlton Hotel last week for the first ever Curly Nikki NYC Meetup! From crimson curly coifs to lush and lavish ‘locs, the natural hair community showed up and showed out at this inaugural event. Here, we snapped over one hundred chemical-free bombshells and their stunning styles at the meetup. Take a look and be inspired!